Jazz up dinner tonight with fondue at The Melting Pot. Welcome to The Melting Pot, your go-to restaurant in Gaithersburg for get-togethers and gourmet fondues. Tender meats that fall apart on your fork, fresh seafood from the bay, perfectly seasoned vegetables, crisp fruit- all of these are key ingredients in our famous art of fondue. 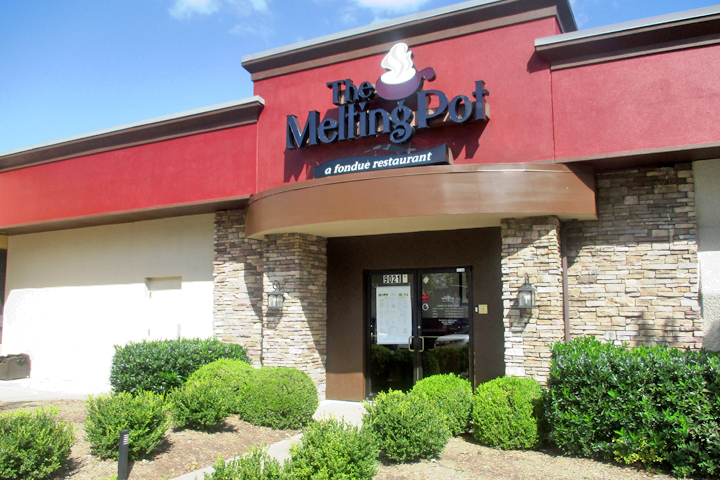 The Melting Pot in Gaithersburg welcomes you to a culinary experience that can’t be matched. We offer interactive fun for families and friends that are looking to spice up ordinary weeknights. With our customizable menu, couples can mix-and-match dips, dressings, and cooking styles to find a flavor that completes their plate. We are a celebration restaurant located on Gaither Road between the cross streets of Shady Grove Road and Rt 355. We re-located our smaller Rockville location so that we could serve as many of our loyal fans as possible. The Melting Pot of Gaithersburg is Montgomery County's premiere fondue restaurant. Use our casual laid-back atmosphere to catch your breath after a busy week or to set the right atmosphere for a romantic date. Rest assured that our fine dining elegance shines through in our food- especially in our tasty cheese and chocolate concoctions.